Boasting sparkling blue seas, bustling marketplaces and a collection of dreamy tropical islands, Thailand is a special Asian archipelago just waiting to be discovered. From the metropolis of Bangkok to the laid back island of Koh Samui, Thailand's diverse landscapes and attractions provide the perfect balance between discovery and relaxation. 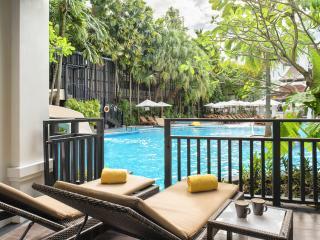 Beyond the spectacular sights and attractions, you'll find a world class range of accommodation that makes Thailand one of Australia's most loved holiday destinations. 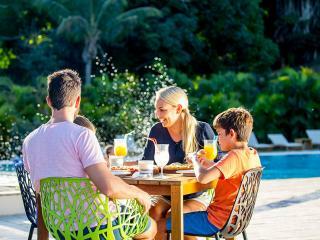 Luxury resorts sit beside sun-kissed shores, private villas soak up the tropical romance and family friendly hotels offer a variety of fun and entertainment for all. 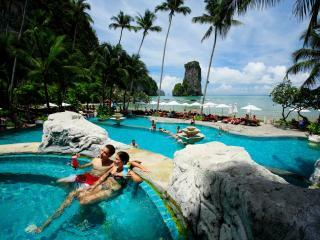 Thailand holiday packages with TravelOnline are the ideal way to make the most of your tropical holiday. Let us bundle together travel essentials like flights accommodation and travel insurance, together with transfers, exciting tours and attractions to save yourself time, money and stress. Leave it to our expert team of Travel Specialists to curate an unparalleled holiday package tailored to your individual style and create an unforgettable holiday experience. Individually tailored to meet the style and expectations of every kind of traveller, TravelOnline's exclusive holiday packages have been designed to ensure you get the most value for your holiday. Thanks to our unique supplier relationships, many of the deals at TravelOnline cannot be found elsewhere. As a result, we're able to offer enormous savings across our flights and accommodation packages along with travel essentials like airport transfers, travel insurance, sightseeing tours and attractions. 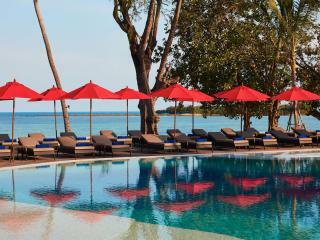 We also a range of bonus inclusions like free nights accommodation, meal vouchers, resort credit and spa inclusions. Whether you book one of our existing holiday packages or work with one of our Travel experts to create a unique deal that works for you, you'll be realising the savings in no time!